What gave you the idea to come along for your first training session? One of my friends asked if I wanted to play sport for Scotland. That sport was of course Aussie Rules. I came down to training and have never looked back, going on to captain the Glasgow Sharks and set up the Scottish Sirens. Why do you keep coming back, what do you enjoy the most? I love everything about the sport and this club. The physical element of the game, the skillful side, the great environment at the Sharks. If you were to speak to someone unsure whether they should come along what would you tell them? Get involved! Whether you want to get fit, have fun, be competitive, try something new or make new friends there’s something for everyone at the Glasgow Sharks. 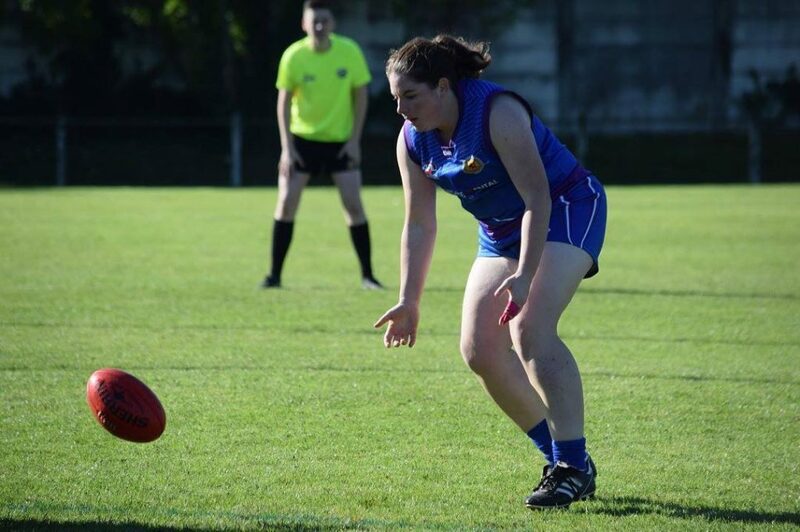 Your first month at the club is completely free and all you would need to start is a pair of football boots, Shorts/T-Shirt and a keen attitude to give Aussie Rules a try!